A home treatment service for people with a severe mental health crisis is now available across the Southern Health and Social Care Trust 24 hours a day – seven days a week. Around one in four people in Northern Ireland will experience problems with their mental health at some point in their lives. 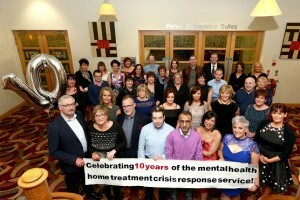 Having just celebrated their 10th anniversary, the Home Treatment Crisis Response Service is a team of doctors, nurses, social workers, occupational therapists and support workers who help families to ensure that their loved one receives the care and treatment they need and can recover at home. Last year, the service helped prevent hospital admissions for around 550 people experiencing acute mental illnesses, including psychotic disorders, depressive illness and anxiety disorders. Dr Neta Chada, Associate Medical Director for Mental Health Services in the Southern Trust explained, “Home Treatment Crisis Response helps people who are at an acute stage of mental illness and need intensive input quickly. We know that people recover better in their own surroundings, close to their loved ones and want to avoid the added distress of a hospital admission. “Once we receive the referral, our team aims to visit the patient within three hours for assessment. If suitable for home treatment we agree a plan which could include up to three daily visits and a range of medical or therapeutic treatments depending on the patient’s specific needs. “We also have a member of the team based in our inpatient unit, unique to Northern Ireland, who ensures that those patients who do need a hospital admission, get the treatment they need as quickly as possible and then can benefit from early discharge to the Home Treatment team where they can have ongoing care and treatment at home.” One person who used the Home Treatment Service says, “With a dual diagnosis of Bi-Polar disorder and personality disorder, I have experienced hospitalisation many times when I have reached crisis point. Being seen by the Home Treatment Crisis Response Team was such a difference. “The fact that the team come to your own home is so much more discrete and less disruptive and distressing for everyone. I received intensive input from two Psychiatric Nurses each day for three weeks, their time was never rushed, they would stay as long as I needed them for and if I felt my condition escalating between visits I was able to phone them and they would come back. “They offered emotional and also some very practical support for example sorting out my 32 tablets a day into a much easier system for me to manage. 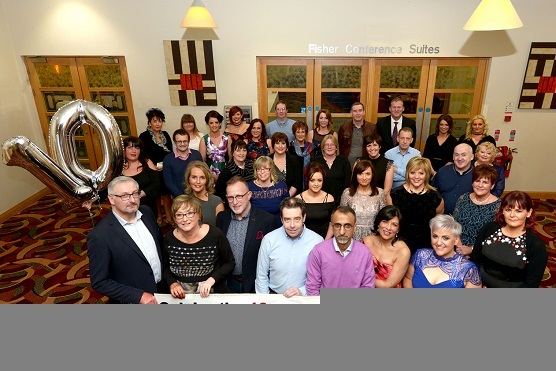 Along with the clinical care they gave me, the team was also there to support my husband which is so important for family members, coping with a loved one who has a mental health condition and rather than cancelling a much needed weekend break we had planned, they were even available by phone in case we needed to contact them for advice while we were away.” Referrals to the service can be made by GPs, Psychiatrists, Community Mental Health Teams or other doctors. Dr Chada continued, “Home treatment is one of a number of developments we have introduced to improve services for people with mental health conditions. We are delighted with the recent expansion of the service and to be able to give more people better access to the care and treatment they need, anytime day or night – helping them to get back to wellness as soon as possible.” If you are currently being treated for a mental illness you should have a care plan and know who to contact in times of crisis. If you do not have a care plan you should discuss this with your key worker. If you feel unwell and distressed you should make an emergency appointment with your GP or contact the GP Out of Hours if the emergency is at night, weekend or a public holiday or go to your nearest Emergency Department. If you are caring for someone and are concerned for their safety, call 999. If you or someone you know needs help, and you would like to speak to someone by telephone, you can also call Lifeline free, in confidence, 24/7 on 0808 808 8000.